Get rid of your Acrobat Ant infestation. Acrobat ants are small, shiny, black ants with a heart-shaped abdomen. These ants are named after their movement patterns; when they are excited, they point their abdomen in the air like an acrobat. They are wood destroying ants that do not eat the wood, but simply live in it. Acrobat ants tend to infest old carpenter ant nests and blue foam board, which can lead to customers finding blue sawdust-like frass. They seek out wet wood and can often seek out leaks in homes. Acrobat ants are typically found in the kitchen. Whenever ants are found in the kitchen they should be saved for identification by a professional. You can also crush them; if they smell like coconut, they are odorous house ants. Some ants are only active during certain times of the day, so it’s important to keep that in mind as well. Customers should never try to spray or treat for ants themselves. This can only cause more issues and make it more difficult to eradicate the issue by a professional. Keep countertops sanitized and food properly stored until we can get there. If you think you have an infestation, we advise keeping a sample of any ants that are found to be identified and properly treated for. 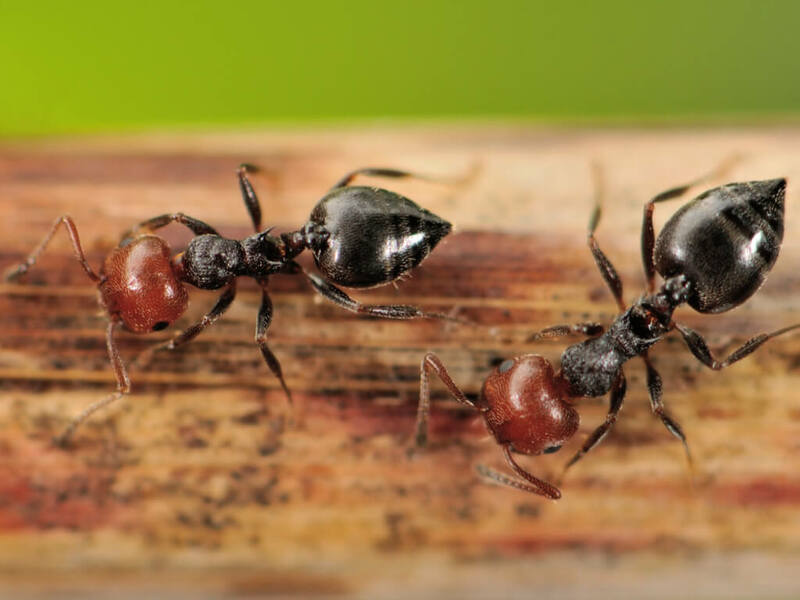 If you have found evidence of acrobat ants around your home, do not hesitate to give us a call! We specialize in all types of ant eradication and are eager to help you today.